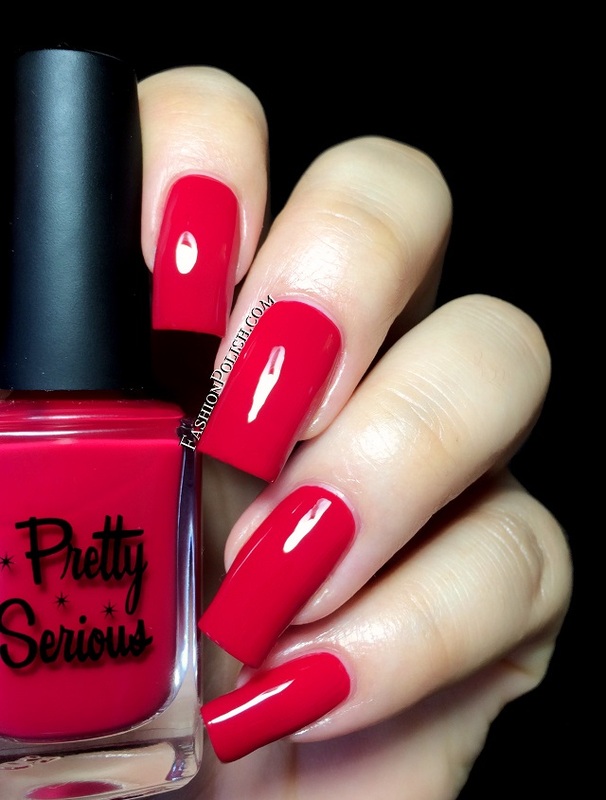 Fashion Polish: Pretty Serious Pinup Perfection collection review! 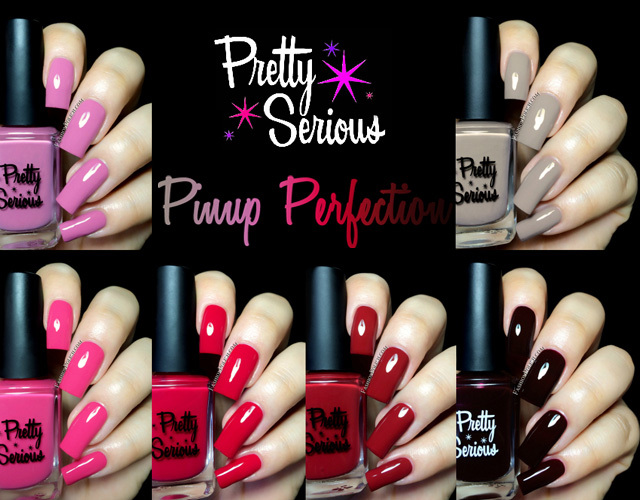 Pretty Serious Pinup Perfection collection review! Any big plans for the weekend? Nothing special here, we went out almost every night this week so I'm going to just try and enjoy the quiet LOL. I do have a massive pile of polish that's not going to swatch itself so I'll probably just do that and watch a new series. Oh and definitely stalk the Enchanted Polish website for the Kanye West collection release too! 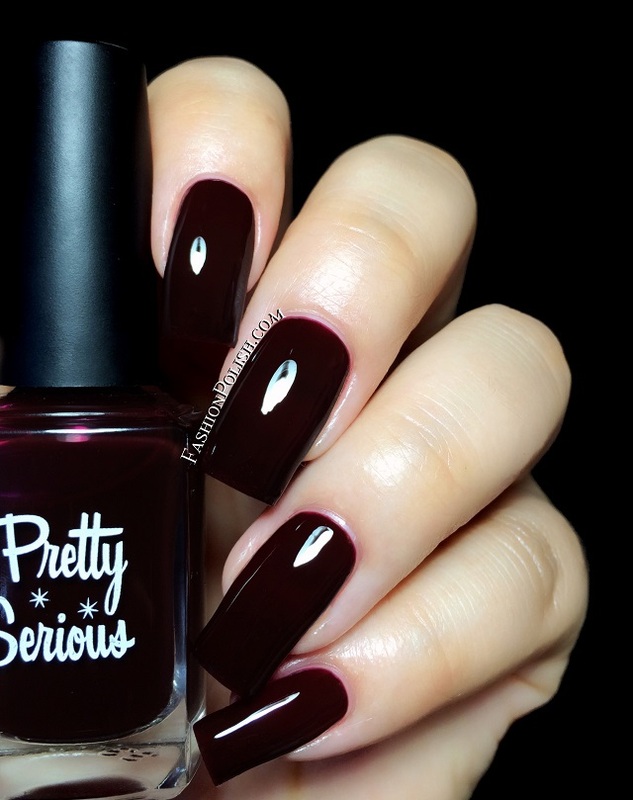 Today, I have the latest Pretty Serious collection to share with you. Pretty Serious is widely known for its amazing shimmers and glitters so I can already tell you that I was super excited to try their new cremes! Formula and application were particularly nice on the entire collection. I didn't experience any issue and used 2 effortless coats on all shades but Love Bite (jelly) which required a third. 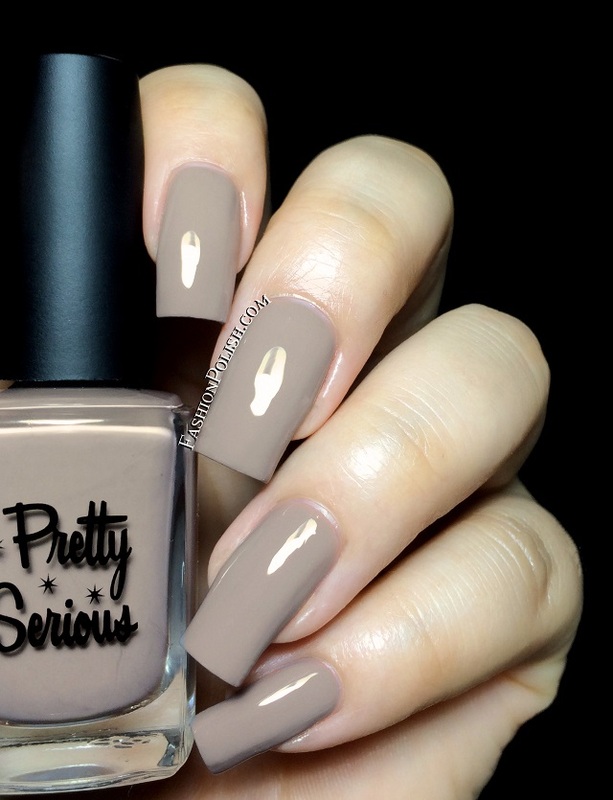 Perfection Projection is a mushroom taupe creme. I really love cool toned neutrals, they suit my skin ton much better and look way more edgy than your average pink. Dangerous Curves Ahead is a muted dusky rose creme. Again, the coolness makes it so much more wearable for me, not one bit girly! 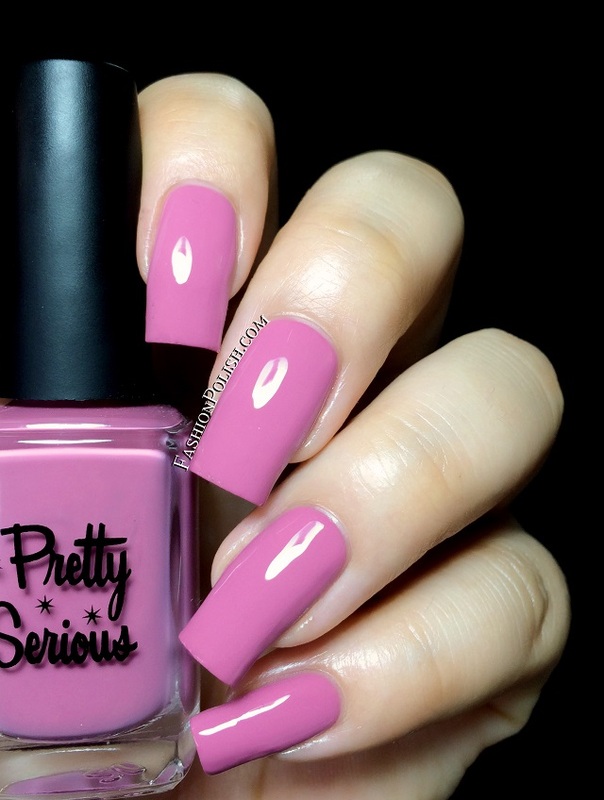 Irresistibly Pink is a super glossy candy pink creme. Such a yummy color! If you love pinks, you'll love this one. Hell on Wheels is a classic blue based red crelly. Lighter than you typical red and with a touch of dustiness, not "just" another red. Love Bite is a deep dark and mysterious blackened red jelly. Super vampy and glossy. This is the one that required a third coat to achieve even coverage but it was no trouble at all. As always with dark jellies, allow a little extra time between coats to avoid bald spots. 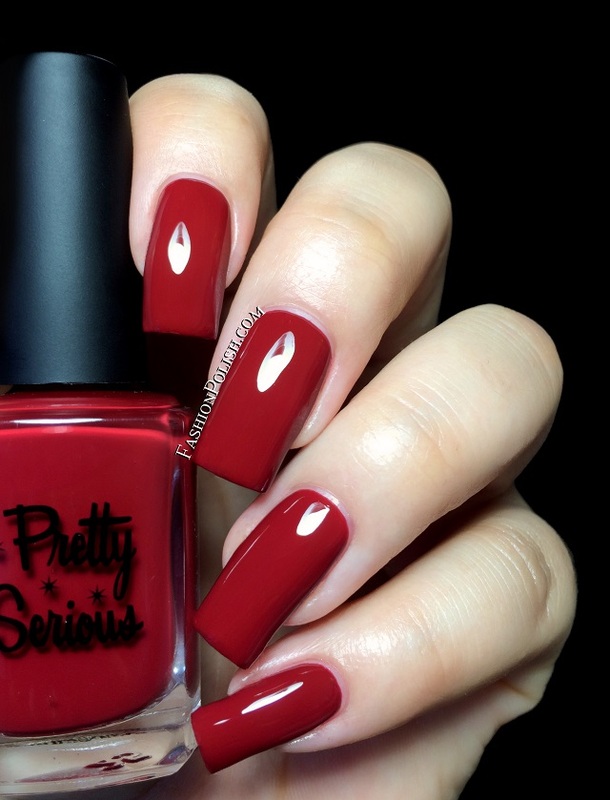 The Pinup Perfection collection is already available on Pretty Serious and selected retailers worldwide (list).